Mining engineering concerns the extraction of natural minerals from the Earth and the processing of these minerals into more efficient, user-friendly forms, whilst having minimal environmental impact. A Masters in Mining Engineering will introduce you to the different extraction methods, giving you a detailed understanding of how complex mining systems work together to help meet demand, and preparing you for mining engineering jobs through practical assignments and field trips. 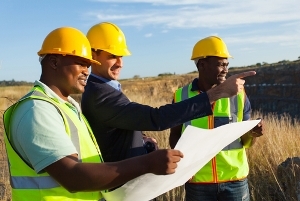 Read on to find out more about common Masters in Mining Engineering degree types, entry requirements, career options and specializations. Mining engineering courses are multidisciplinary, touching upon elements of geology, physics, chemistry, environmental studies, mathematics and economics. You’ll acquire knowledge about the exploration and production of mining processes, including related management and environmental considerations. You’ll gain a thorough understanding of the main areas of the subject, such as geomechanics, ventilation, mine planning and mineral processing. As the degree progresses, you’re likely to focus more on the management and cost estimation side of the subject, as well as surface excavation design and geotechnical engineering. 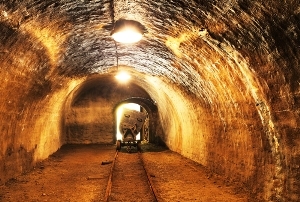 Mining engineers work with a variety of minerals, including metal ores, diamonds, coal and oil, as well as industrial minerals such as clays, granites and limestone. Your degree will help you to acquire a detailed awareness of the nature of the rocks involved, and the importance of finding new ways of sourcing recycled raw materials, in both cost-effective and environmentally friendly ways. Most mining engineering courses are structured around a mixture of compulsory and optional modules, allowing you to tailor the degree to your own interests. Practical learning within the mining engineering industry is common in many courses, and is designed to put your theoretical skills into practice, whilst also helping you to make professional contacts. You may also take part in laboratory work, with many universities offering specialized laboratories for the study of mining engineering topics such as analytical minerology, mineral processing and rock mechanics. You’ll be assessed via a mix of coursework, essays, practical write-ups and surveying presentations, as well as end-of-program projects. As most mining engineering courses are aimed at students with an engineering or technical background, many universities will state that they would prefer applicants to hold a good bachelor’s degree (at least a 2:1 or equivalent) in either mining engineering or a related engineering or natural sciences subject. Geotechnical engineering is a branch of civil engineering which concerns the engineering behavior of Earth materials. It uses principles of soil and rock mechanics to investigate subsurface materials and their properties, and evaluate their stability and the risks of building new earthworks and structure foundations. A specialization in geotechnical engineering will introduce you to this multi-disciplinary field and provide you with the specialist knowledge needed for careers in the construction, environmental and extractive industries. Optional modules within this specialization include subsea engineering, climate change, ground water assessment, contaminated land and geographic information systems. Mineral economics concerns the investigation of economic and policy issues related to the production and use of mineral commodities. Possible modules include the social and economic impact of mining activity, mineral markets analysis, business evaluation and mining projects, options and risk analysis, and competitive strategy. The similar specialization of economic geology also links the study of geophysics and geology with mining engineering to focus on the ways in which Earth materials can be used for economic and/or industrial purposes. 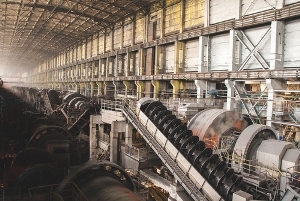 A specialization in mineral processing will give you a thorough understanding of the methods in which the mineral processing industry works, and how to address the design and operational problems affecting the industry. Further specializations in this topic that you could focus on include: exploration geology, exploration geophysics, extractive metallurgy and materials science. A specialization in geomechanics (the geologic study of the behavior of soil and rock) related to mining will introduce you to the range of geomechanic issues that affect mining operations, from resource evaluation to mine design and daily function. Covering both the study of coal and metals, this specialization will include site investigation, rock fragmentation, slope stability, stress analysis and stability evaluation around complex excavations, ground control management and environmental geomechanics. Your mining engineering degree will provide you with the expertise and practical experience needed for careers in the mining industry. You could undertake various mining engineering jobs related to the planning, management, supervision and excavation of mineral resources. There are also many opportunities to work abroad. Of course, the skills possessed by graduates of mining engineering are also attractive to employers a variety of other sectors, including roles in operations management, consulting, manufacturing, research, policy and government. An obvious option for graduates considering mining engineering jobs, mining engineers are responsible for assessing the viability, safety and productivity of possible mine locations. Involved with all stages of a project, they plan, manage and enhance the extraction of surface and underground deposits. Due to the nature of the industry, mining is an international career with many opportunities overseas. To become a mining engineer, you’ll need to have strong technical knowledge and management skills, and relevant work experience is essential. In most cases you need a minimum of a bachelor’s degree to become a mining engineer, and a Masters in Mining Engineering may also be a requirement. Engineering geologists contribute to detailed technical and scientific analyses of rock, soil, groundwater and other materials to determine the impact that major construction developments will have on sites. They advise on actions required for such developments and the suitability of construction resources. Typical tasks include collecting, analyzing and interpreting data, visiting sites, preparing reports, advising clients on problems such as subsidence, and liaising with and managing staff in similar roles such as geotechnical engineers and construction managers. To become an engineering geologist, a specialized postgraduate degree is advantageous and useful. Prior work experience in the role is not essential but can help you to stand out. Petroleum engineers are responsible for assessing the prospective location, amount and quality of hydrocarbon deposits, and for planning, supervising and improving extraction. They aim to maximize hydrocarbon recovery at an affordable cost and with minimal environmental impact. If you specialized in geological engineering during your mining engineering degree, you may wish to work as a petroleum geologist, in which you’ll find petroleum resources using analysis of subsurface structures with geological and geophysical approaches. Other mining engineering jobs within this role include reservoir engineering, production engineering and drilling engineering, and you could work on or off shore for oil and gas service/operating companies. Geotechnical engineers use their knowledge of structural conditions and minerals to plan and design structures for buildings, roads, embankments, canals and hundreds of other construction projects. They work to ensure the structure’s stability against geological hazards like landslides, soil erosion and even earthquakes. This is a multi-disciplinary field of work in which you’ll need a working knowledge of other areas of engineering, including structural and petroleum engineering. You’ll spend most of your time in this role on the field and in analysis laboratories. A role as a geotechnical engineer is very demanding, but is also diverse, exciting and constantly changing. Geotechnical engineers are in-demand and can earn a high salary, and Masters in Mining Engineering graduates have a good chance of finding work, particularly if they’ve specialized in this area.